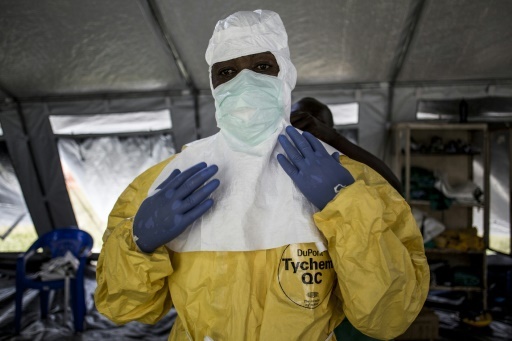 New measures taken to combat an Ebola outbreak in the eastern Democratic Republic of Congo have had a "positive impact", but the virus remains dangerous and unpredictable, the World Health Organization and United Nations said Thursday. Since the outbreak began in August, 191 people have died, about half of them in Beni, a city of 800,000 people at the epicentre of the outbreak, the WHO said in a statement with the UN's Department of Peacekeeping. "The fact that we have so far prevented Ebola from spreading into neighbouring countries is a testament to the hard work and determination of staff from all partners," said WHO chief Tedros Adhanom Ghebreyesus at a news conference in Kinshasa. The WHO said it had improved "community surveillance" which had contributed to a decline in new cases over the past two weeks. Ghebreyesus and Jean Pierre Lacroix, the UN Under Secretary for Peacekeeping Operations, travelled to Beni Wednesday to meet health workers, peacekeeping troops, and local authorities. "As complex and challenging as this outbreak is, I am confident... we can and will end it,' Ghebreyesus added. Since a vaccination programme began on August 8, more than 25,000 people have been innoculated, according to the DR Congo health ministry.